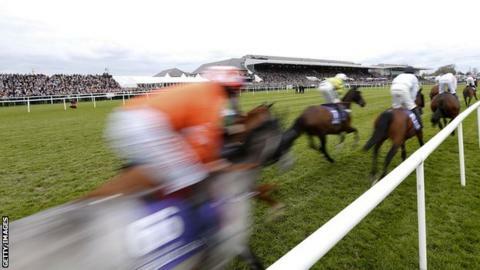 Irish trainer Gordon Elliott won six races in one afternoon at Punchestown. Elliott started Thursday's racing with 13-8 chance Pallasator in the John Shortt Legends Challenge Race. Wins for Samcro (1-5) and Ben Dundee (13-8) were followed by another favourite Death Duty (4-9) in the Buck House Novice Chase. Elliott also won the concluding two contests on the eight-race card with King's Song (3-1 favourite) and Felix Desjy (11-8 favourite). He said: "It's a great day. Any day you have one winner is great so to have that many winners, I can't believe it."